We were contacted by a Power Industry client who had been frustrated by an OEM failing to respond to a significant problem which had the potential to lose the client considerable amounts of revenue income from the Electricity Grid System. The Grid System requires the availability of a number of Power Plants with the ability to start up and generate with no external electricity supply, known as a ‘Black Start’ capability. Substantial payments are made for this ability to be available, but only if the ability is actually and fully available. For our client, one of the 12 cylinder diesel engine driven generators which allow the main gas fired, combined cycle plant to start up with no external electricity supply to the site, was out of commission due to the lack of a balance weight for one of the crankshaft balance locations. 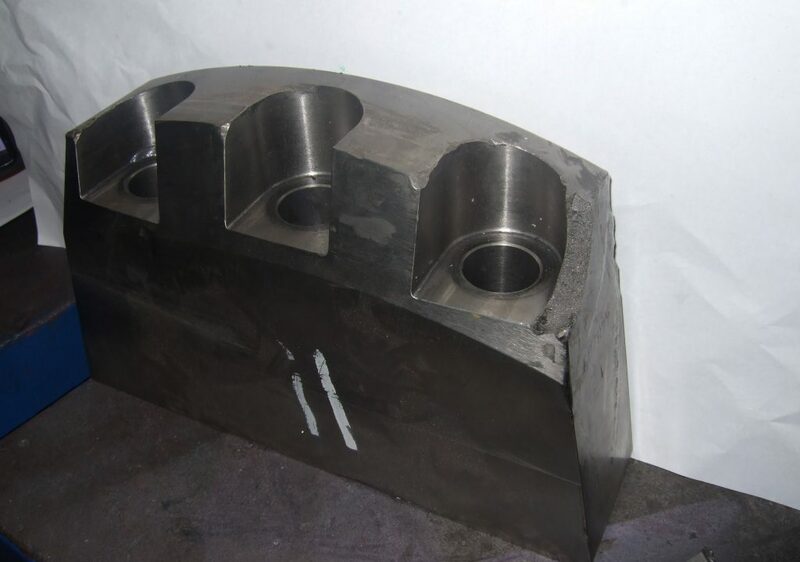 Our client had waited for some months for help from the OEM after a Tungsten balance weight had been damaged, losing part of its mass in the process. The engine was not able to run without the balance weight and this threatened our client’s ability to meet the Grid System criteria and receive the payments. 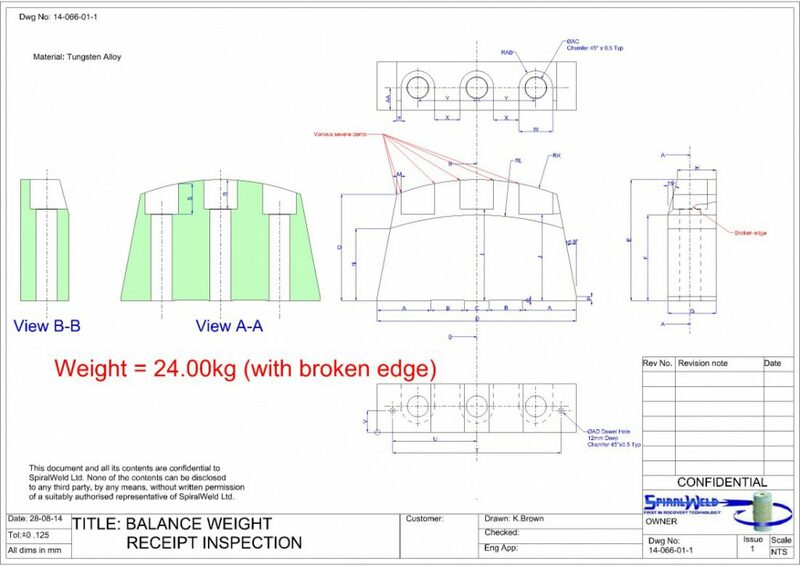 Our client enquired if it was possible to repair the damaged weight and we confirmed that it was, also discussing the possibility of using our ReManufacturing Plus service to manufacture a new part. Following meetings at SpiralWeld and client’s site and further research, we confirmed the feasibility of repairing the damaged weight and also confirmed that we could manufacture new, both within reasonable timescales to minimize the financial risk to our client’s operation. The damaged part was fully assessed and inspected using XRF analysis to determine the exact material alloy, and our Faro arm to produce a CAD drawing. Both the mass and the moment weight were determined to the necessary accuracy. We then quickly produced a quoted price for both ReManufacture / repair and ReManufacture Plus new replacement. Our client decided to proceed with ReManufacture Plus new parts, placing an order for 2 off. 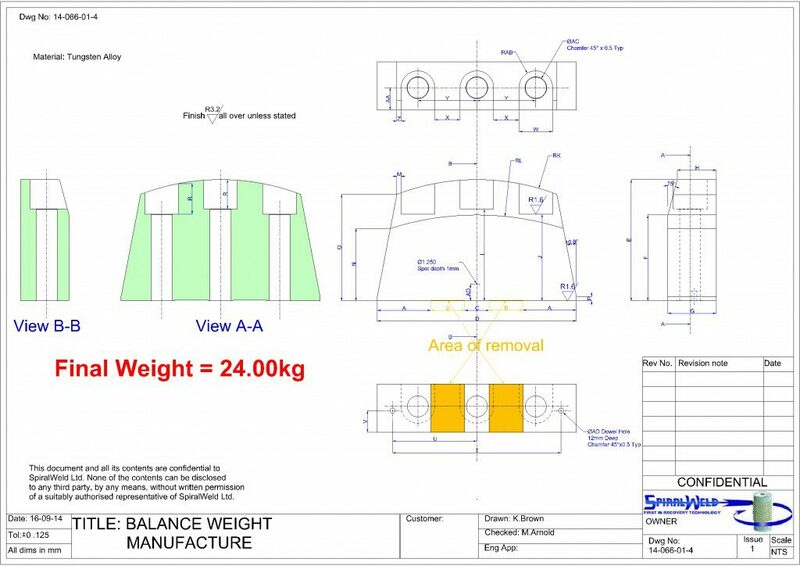 CAD drawings for the manufacture were then prepared. The parts were then manufactured to the necessary tolerances. 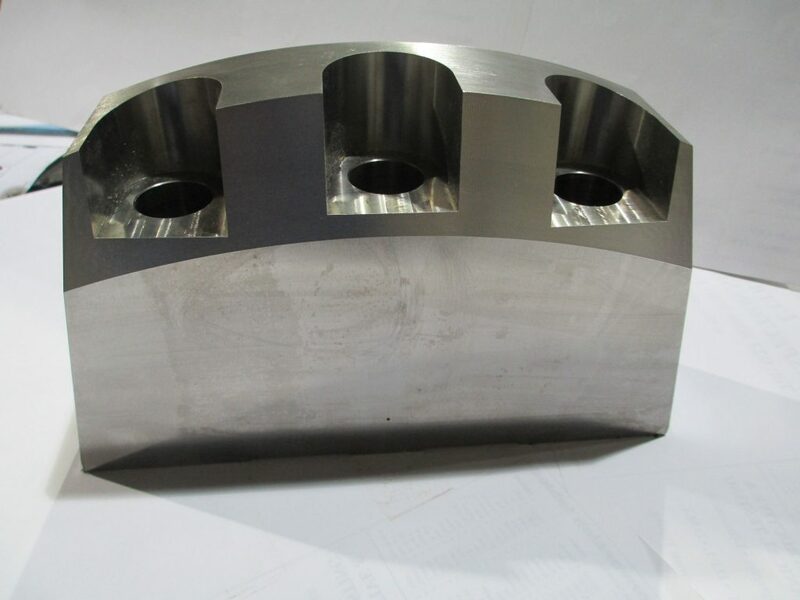 Following completion of manufacture the parts were inspected for dimensions, mass and moment weight to the required tolerances and the Quality Plan completed. The parts were then delivered to our client together with a full Quality documentation pack, ready to be fitted into place and make the Black Start Generator available for service once again, ensuring our clients ability to meet Grid System requirements and receive the commensurate payments.